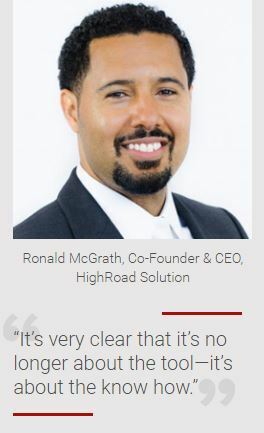 HighRoad Solution, the only company focused exclusively on associations to offer email, automation and inbound marketing services, has expanded to meet the growing digital demands of not-for-profit organizations. The eleven year-old company formally announced its new identity as the only digital agency for associations used by and endorsed by the American Society of Association Executives (ASAE) at their Membership, Marketing, and Communications Conference being held in Washington, DC this week. According to the 2015 State of Digital Marketing in Associations report by Demand Metric, email continues to be associations’ first choice in communication channels. HighRoad’s year-over-year net income is up 77% largely due to increased sales of its award-winning Intelligent Contextual Email (ICE) solution that provides a hyper-personalized user experience within email. ICE powers ASAE’s award-winning Associations Now +Plus newsletter and is 100% automated based on data stored in ASAE’s Aptify database and content management system. To ensure that HighRoad meets client needs for expanded digital marketing services, additional consultants and project managers were added to the staff during the first half of 2016. "We are focused on maximizing efficiencies, continued profitability, and on providing our clients with innovative technologies and solutions to help ensure their success. We have the right strategies in place to fuel our continued long term growth and to remain a key contributor to the asssociation industry,” said Sue Wood, CFO. HighRoad’s strong financial performance and operational excellence has led to Sue Wood being nominated for Virginia’s Business’ CFO of the Year. HighRoad Solution is the only digital marketing agency endorsed & used by ASAE. We combine digital & database platforms to increase revenue, member insight & efficiency for associations. Whether you need email, marketing automation or inbound marketing, we have the subject matter and technical experts to deliver the solution you need.